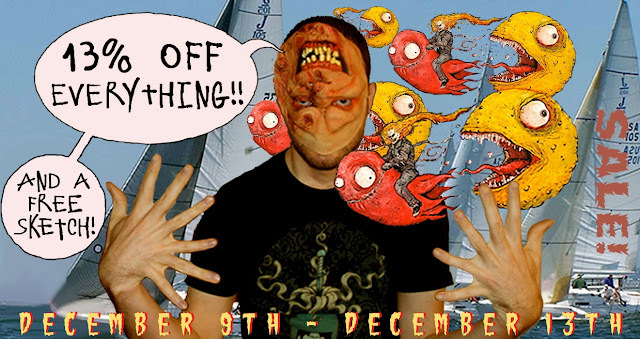 Drawing A Blank: The Art of Cody Schibi: It's A SALE 13ig 13oys!! The Holidays are here fools! Time to buy all kinds of crap, wrap it up with paper & love, put a bow on it, give it to people, watch the people tear apart your lovely wrapping & then high five those people! Yes...in THAT order! The first thing on that list can really add up, so I'm having a little sale over at my online store to save you a little moneys. That's right! 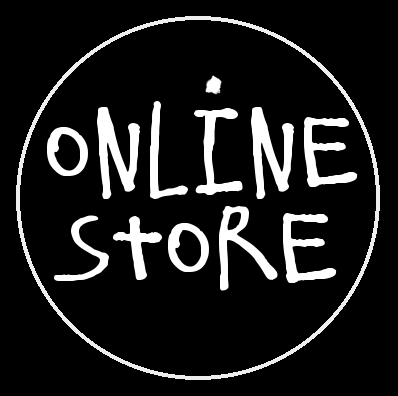 13% OFF EVERYTHING!! Why 13%, Cody? Well, since it's my online store, & "Cyber Monday" was on November 26th...50% of 26 is 13! Makes perfect sense right?!...OH! AND I have thirteen fingers!! That's why! And not only will you get 13% off your ENTIRE order, but somewhere in your package will be a quick, FREE custom sketch from me. That's right again...even if you buy only one of 'Those Weird Ones' trading cards, you'll also get a little sketch thrown in for FREE! If you buy my 'Oddities/Deformities' mini art book, you'll get a custom sketch inside the book for...wait for it.....FREE! 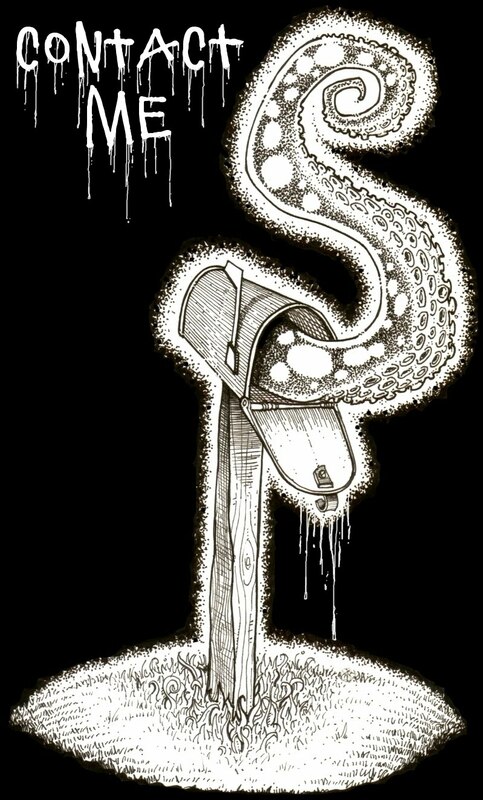 Whatever you order you'll get an actual ink illustration done with my right hand that has 7 fingers on it! YES! All you have to do is type in: 13FINGERS in the "Discount Code" box when completing your order & voila!...13% OFF your order AND a FREE sketch!! FUN! This SALE starts TOMORROW at 12:13PM CST on FRIDAY, Dec. 9th & ends at 12:13PM CST on TUESDAY, Dec....yep, y'got it...THIRTEENTH!! Now that I'm done screaming my brains out like a crazy, car salesman, head over to my store & find something that will make you or someone else happy this Holiday. And a little heads up about an event that I'm super excited to be a part of in late January. My magical mastermind monster buddies at ARTSLAM! 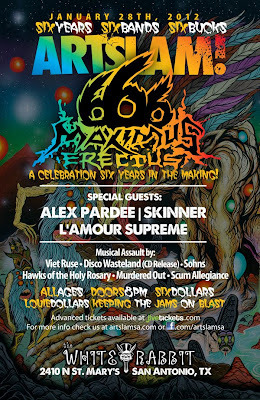 are throwing their SIX year anniversary show on Jan. 28th in San Antonio. 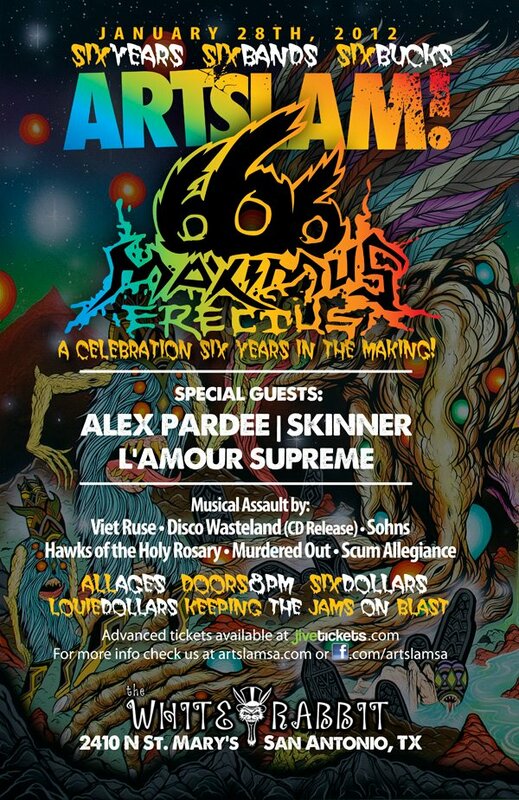 This is a GIGANTIC deal & to celebrate this milestone they're bringing in THREE amazing artists to celebrate with us: Alex Pardee, Skinner & L'Amour Supreme! Yep...Maximus Erectus indeed!